Attendees love to receive recognition at events. Live engagement displays can be customized to put a spotlight on your attendees and personalize their experience. After one of your attendees scans their badge, your social wall can display curated content unique to that individual. The information displayed can include accolades from co-workers, performance stats, hobbies, or any other personalized content you choose to display. Adding a personal touch like this makes your attendees feel privileged. 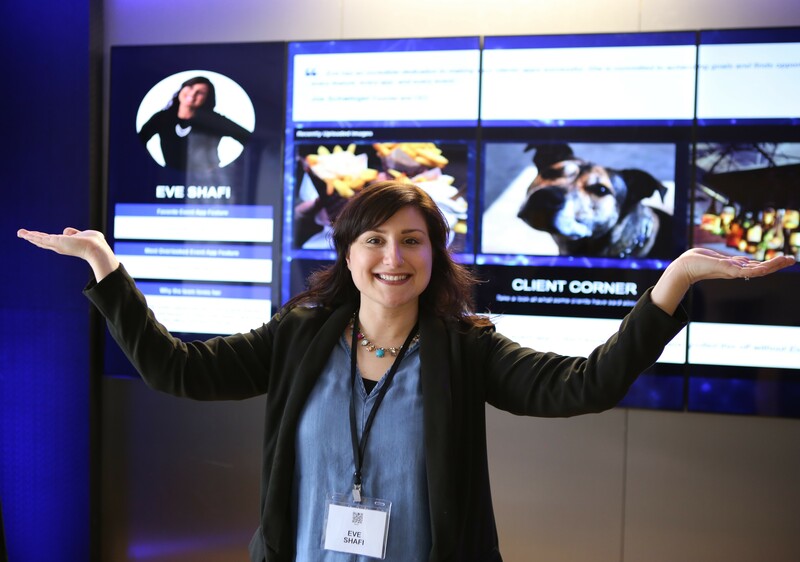 It also creates an excellent photo opportunity as they stand in front of their information presented on your live engagement wall. Of all the live engagement wall features MeetingPlay has created, this is one of the most popular. We’ve even made it possible for attendees to use the live engagement display to create an e-card to send to their friends and relatives. Live engagement displays can also be used to add some friendly competition to your event. You can design your enhanced social wall to feature games, like trivia. Your attendees can use the live display to compete against another attendee or attempt to get the top position on the leaderboard. But it’s not all fun and games. The questions you feature can challenge your attendees’ knowledge of your event, your company, your products, your services, or your vendors and sponsors. Your attendees can enjoy the thrill of gameplay while they become more familiar with your content and event. Videos are a powerful way to get your message across. And displaying your video content on a live engagement display covering an entire wall makes a huge impact. You can use your advanced social wall to feature videos about local attractions, your venue, your company, vendor information, or your brand. It’s a great way to draw attention to your event and add an innovative touch to your venue. Go beyond the standard social wall. 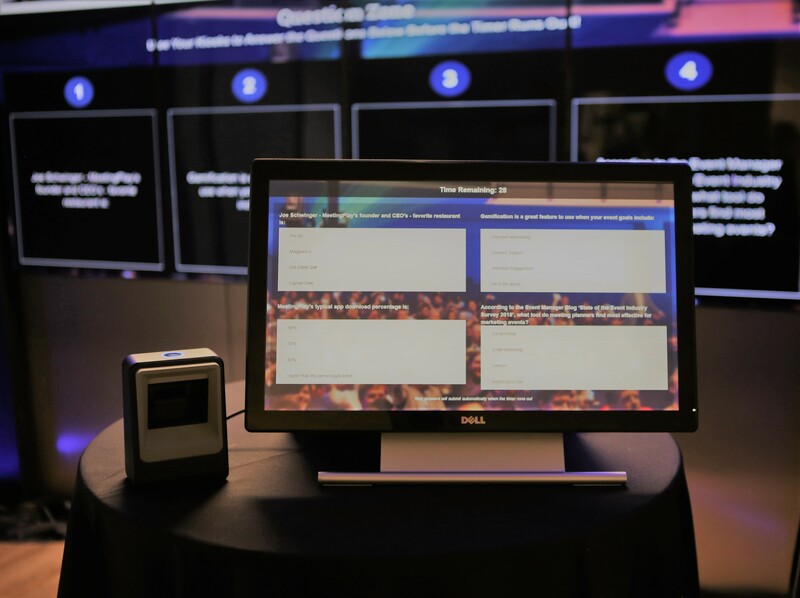 Astound your attendees, vendors, and sponsors with a state-of-the-art live engagement display to promote your content and activity feed. If you're looking to use the best technology available to create an unforgettable event, contact us today, we're standing by to help.